Demolition is underway at the historic former Philadelphia International Records headquarters, which is being cleared to make way for a luxury high-rise. The razing of 309 S. Broad St. began about 9 a.m. Saturday, coinciding with the celebration of national Record Store Day. The property was for more than 40 years owned by songwriting partners Kenny Gamble and Leon Huff, who produced more than 50 gold and platinum records and birthed the legendary "Sound of Philadelphia." It fell into disrepair in 2010 following an arson fire that caused a reported $3.5 million in property damage. 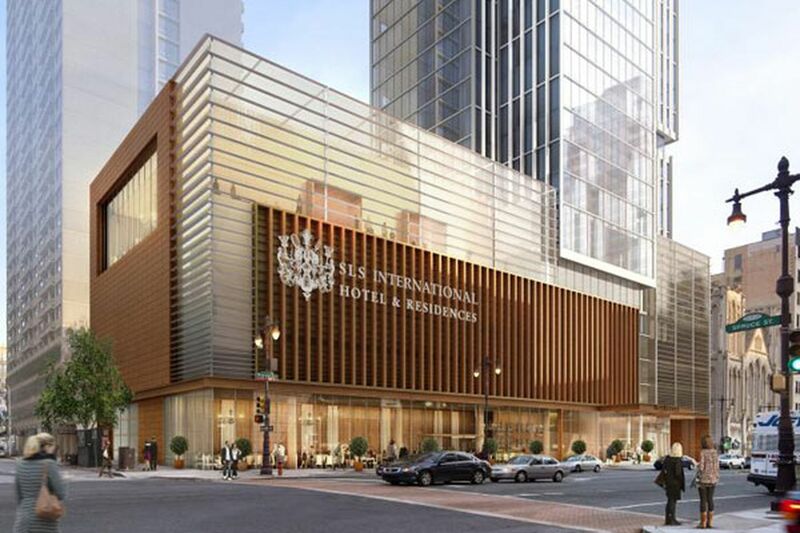 Gamble, Huff, and fellow producer Thom Bell sold the building to Dranoff Properties, which last year announced plans to demolish it for the 47-story SLS LUX Philadelphia Hotel & SLS International Residences. Construction on the residential building, which will be Pennsylvania's tallest, is slated to begin in the fall.